Mobi-Roll & Stow™ - Mobi-Mat by DMS Inc. 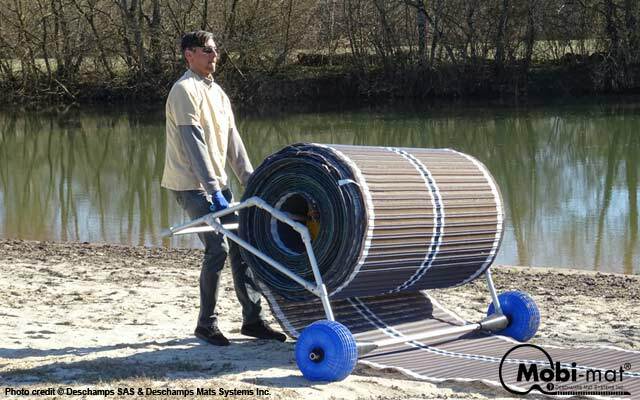 The MOBI-MAT® MOBI-ROLL’N Stow™ is designed to be used on the beach or on the grass, to deploy or retrieve manually or with a vehicle several sections of up to 166’ (50m) long Mobi-Mat® RecPath rolls connected together. 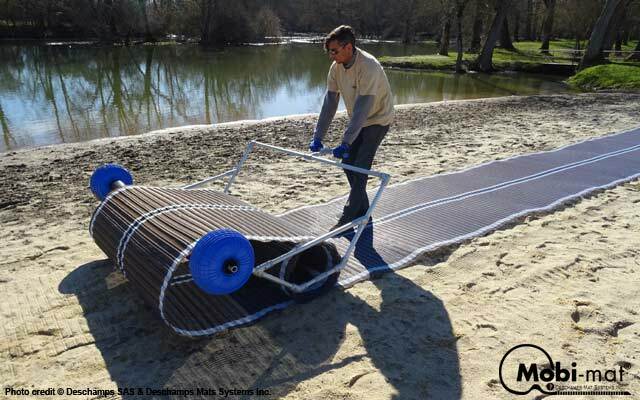 The Mobi-Mat® MOBI-ROLL’N STOW™ is made of corrosion resistant materials and is therefore particularly adapted to seafront climate. 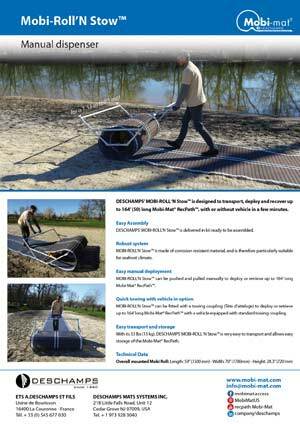 The Mobi-Mat® MOBI-ROLL’N STOW™ allows quick storage, installation and retrieval of up to 166’ (50m) long of Mobi-Mat® rollout RecPath. The Mobi-Mat® MOBI-ROLL’N STOW™ can be used manually, . 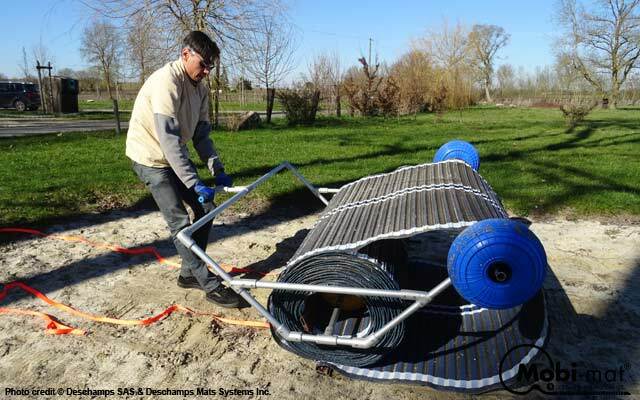 Two minutes are necessary to deploy or recover manually a 166’ (50m) long roll of MobiI-Mat® RecPath with 2 persons. With its 20 kg (44 lbs), the empty Mobi-Mat® MOBI-ROLL’N STOW™ is very easy to roll on the ground and transport to its storage location. It is easily dismantled while removing the side flasks. When dismantled, it occupies minimum storage space.